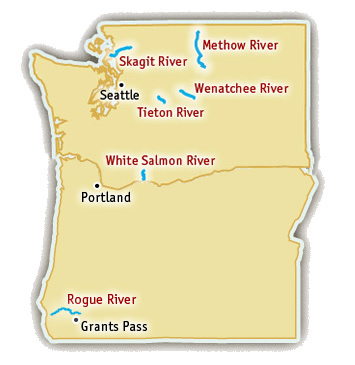 The Pacific Northwest knows water: Portland receives a yearly average of 36 inches of precipitation! While that may not seem like good news for everyone, it’s great news for river lovers—both the White Salmon River and the Rogue River are accessible with a short drive from Portland and offer fantastic options for whitewater rafting trips. The White Salmon River flows into the Columbia River from the Washington side. River trips start near the town of White Salmon, WA, just over an hour from Portland, making this the perfect river for day trips. This river offers exciting Class III-IV rapids (with an optional Class V waterfall!) for the duration of the half-day, eight-mile trip. The recommended age for this trip is 10 years old. The turquoise waters of the White Salmon cut through beautiful basalt canyons, federally protected since 1986 as a Wild and Scenic River. The Rogue River in Southern Oregon is a perennial favorite. Most rafters start their trips at Grave Creek, near the town of Merlin, OR, and travel through 34 miles of federally protected Wild and Scenic river. This Class II-IV river has a few technical rapids, but also long stretches of serene calm water. While many rafters camp for the duration of their trip, there are also historic lodges along the way—some only accessible via the river! This is a river trip full of amazing fishing, intriguing history, and lush, rugged terrain. 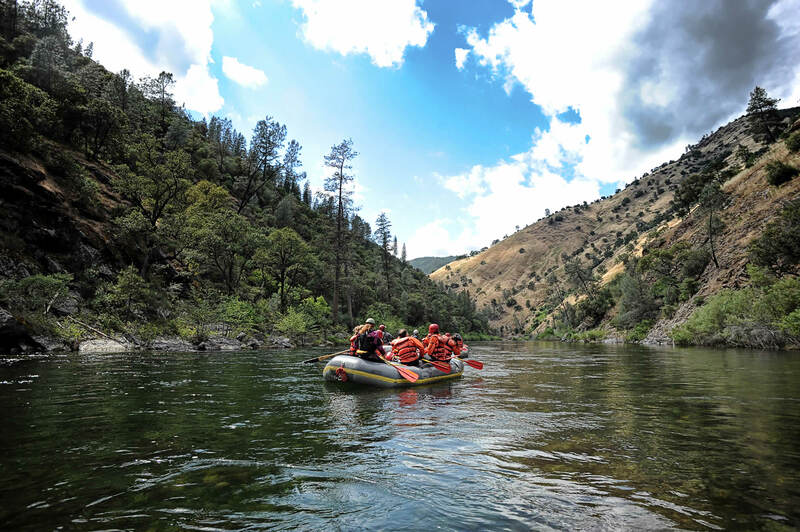 The Rogue River is suitable for anyone aged six and up. A permit is necessary for those wishing to do this trip without an outfitter. For those who don’t have time for a the 34-mile trip, a local outfitter can help arrange other options for half or full-day trips on other sections of the river.